I’ve been wanting to make this simple cake ever since I pinned it a few weeks ago. 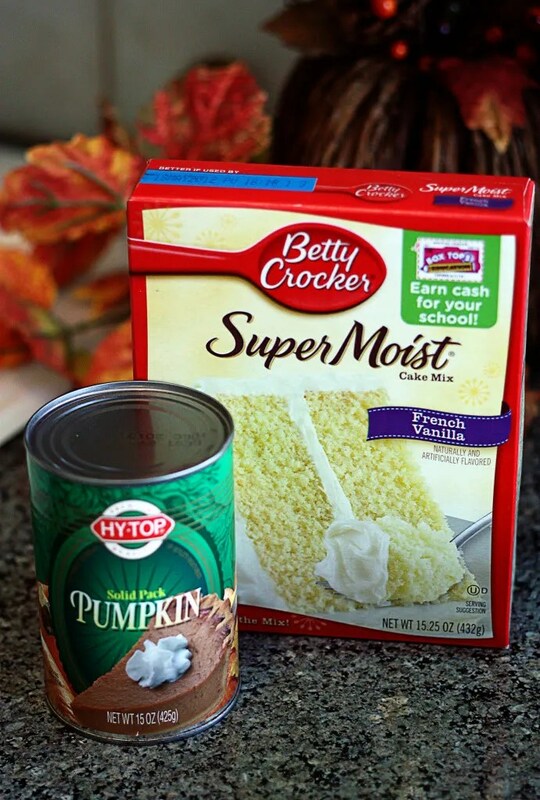 Believe it or not, it’s only 2 ingredients…just 1 box of cake mix and 1 15 ounce can of pure pumpkin. That’s it. No oil, eggs or water. It turned out great! 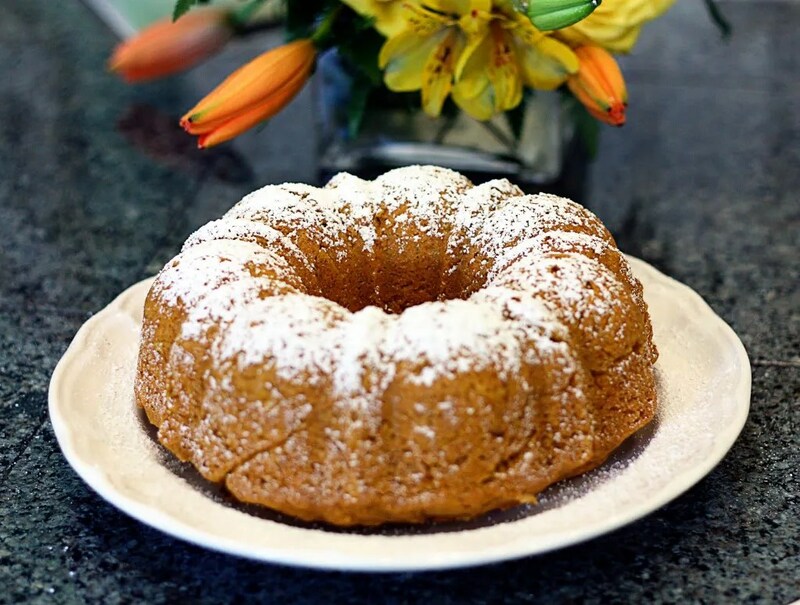 It was so moist and delicious I could hardly believe it…and, I can’t wait to make more! I might even make it in mini loaf pans for quick and simple gifts during the holidays. 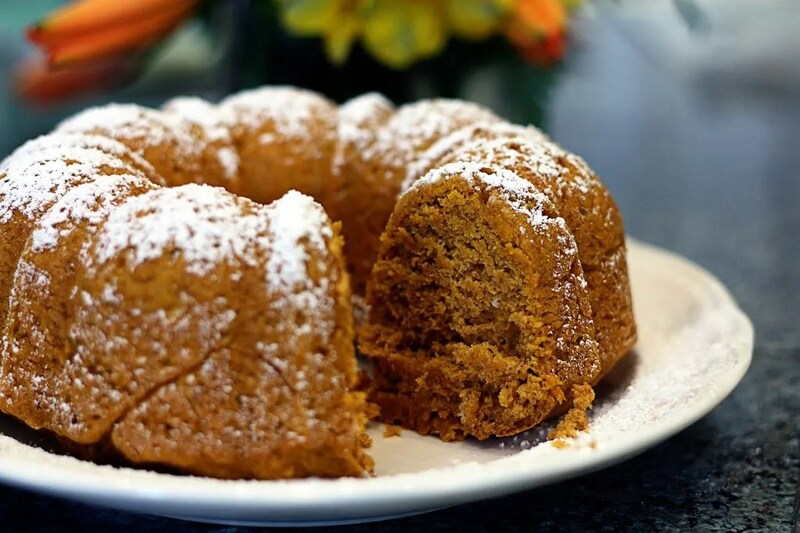 You can use any cake mix that will go well with pumpkin, even chocolate (which hides the pumpkin flavor), but buttered pecan, spice, carrot, and vanilla would be great choices. Best of all, you can browse pinboards created by other people. 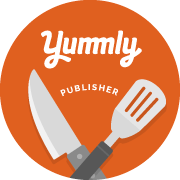 Browsing pinboards is a fun way to discover new things and get inspiration from people who share your interests.” To get started, request an invite here. 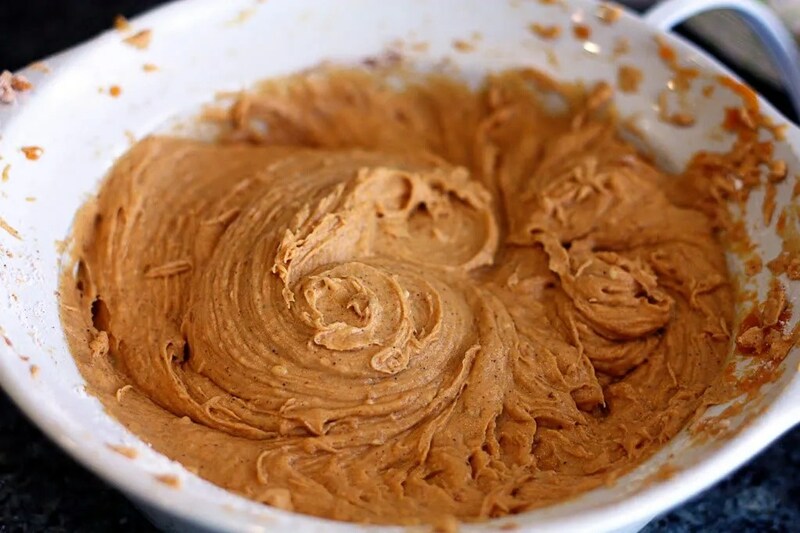 Seriously, just these two ingredients…that’s it! 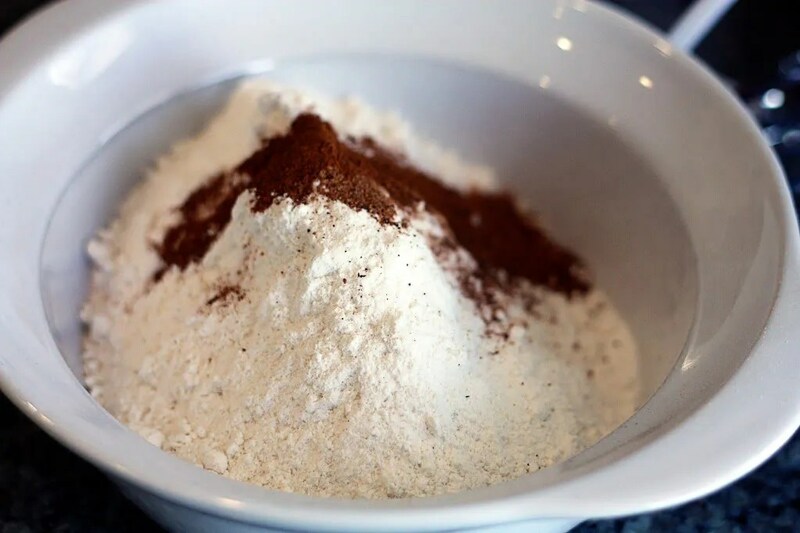 Totally optional, but for some added fall flavors I added 1 teaspoon pumpkin pie spice, 1 teaspoon cinnamon, and 1 teaspoon vanilla extract…optional! Beat well with a hand mixer until well mixed. Pour into a well greased pan. 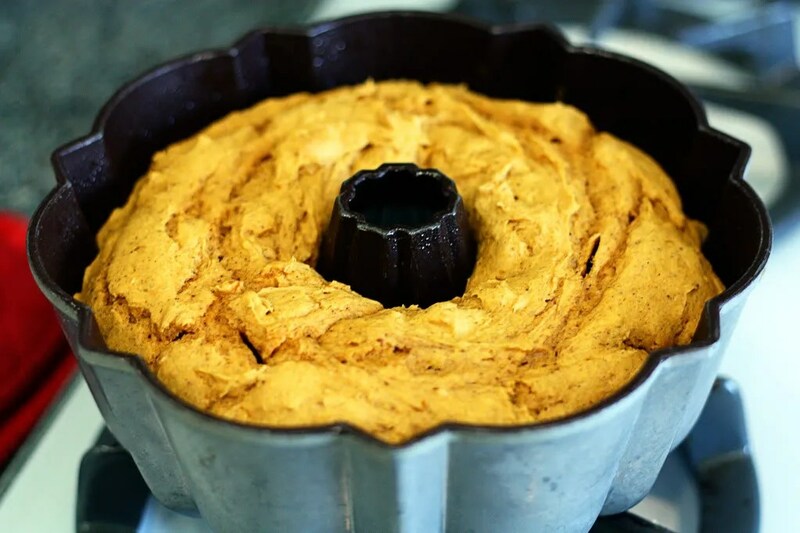 Here I used a petit bundt pan and it was just the right size. I think a standard bundt might come out looking a little short. You could make these into muffins, using paper liners and muffin tins, or loaves. Let cool and invert onto a plate. You can leave it plain, dust with powdered sugar or drizzle with a cream cheese icing. 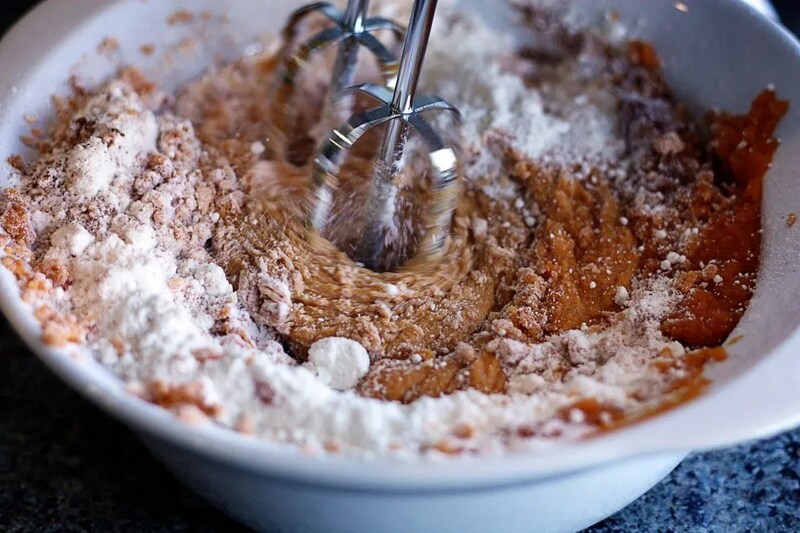 Combine all ingredients and mix well with a hand mixer. 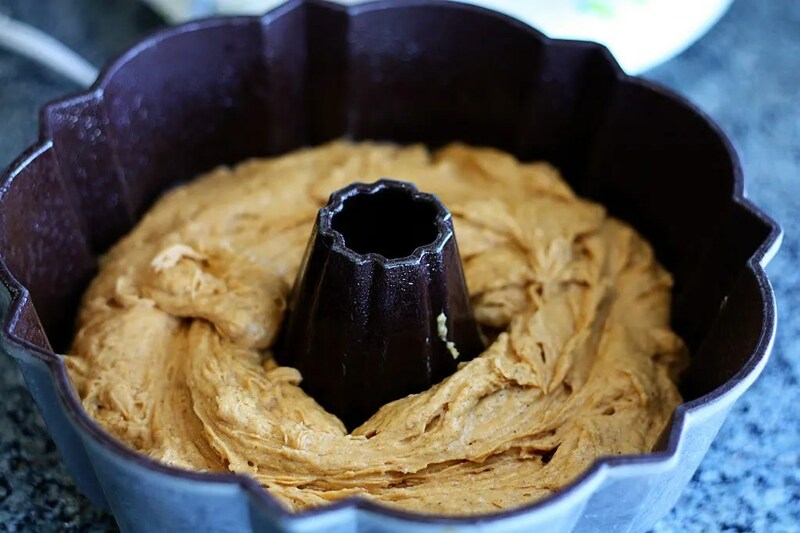 Spoon batter into a well greased pan or scoop into paper-lined muffin tins. Bake at 350 degrees for 20 to 30 minutes or until a toothpick inserted near the center comes out with sticky crumbs.